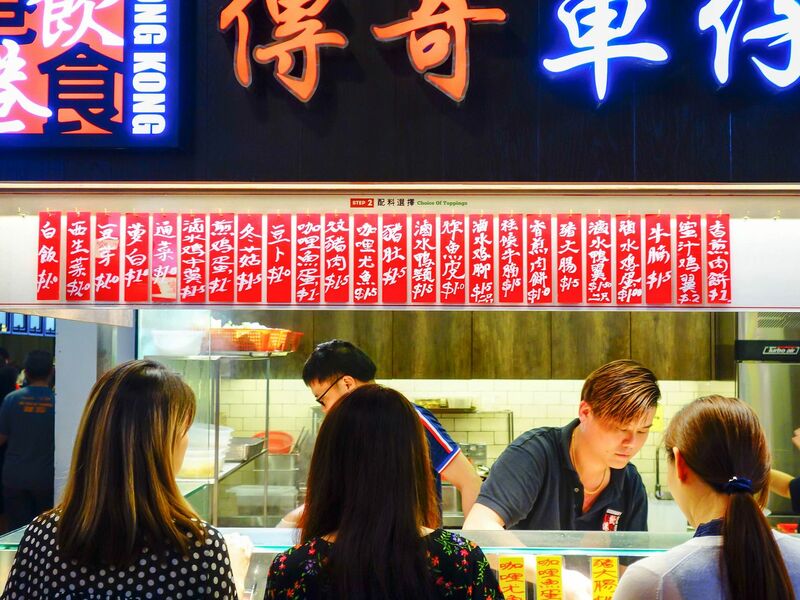 One can try this Hong Kong staple at Legendary Cart Noodles, which is aptly located at the Mongkok themed area of the third floor of Jurong Point 2. Though it’s situated at the far corner, it’s pretty hard to miss with a constant throng of people ordering take away or having a quick meal over by the few bar tables and stools. Most of the menu and signages are in Chinese which help to simulate an immersive Hong Kong street dining experience. I am an unfortunate product of poor bilingualism and I have a huge difficulty in speaking Chinese. However, I managed to understand most of the menu even though some of it is in Traditional Chinese and I could even order! So fret not everybody. 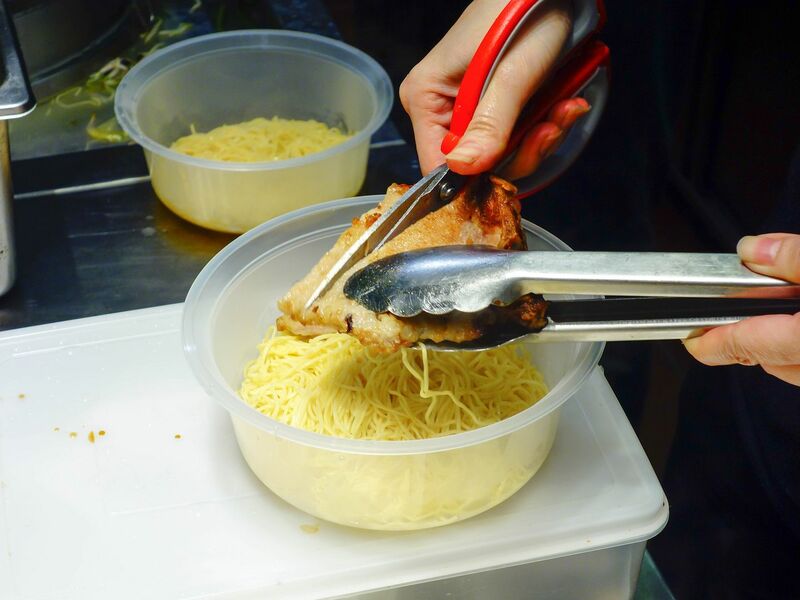 It is a simple procedure to order your noodles. 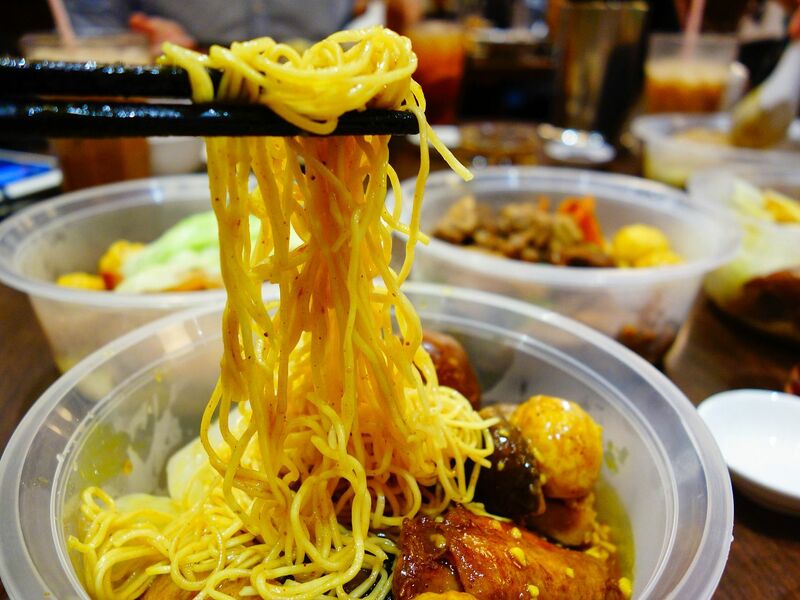 You can choose from either kway teow, mee kia or mee pok which are all brought in from Hong Kong to add authenticity! You could also choose white rice. There are tons of ingredients and three sauces (satay, curry and beef brisket) to pick from. The house special broth that has been cooked for two hours would then be added to complete your bowl. Cart noodles stalls usually offer a huge variety of ingredients. 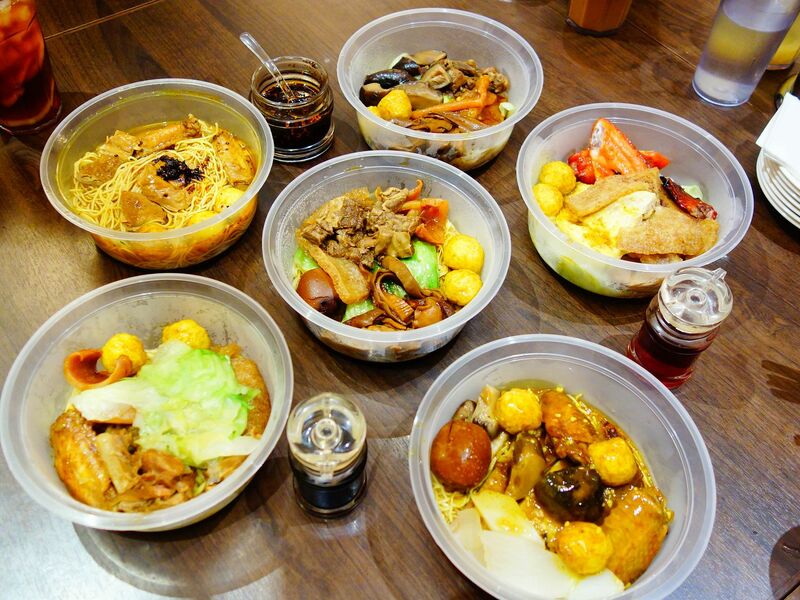 There are over 20 different toppings available including but not limited to braised eggs, pork and beef innards, chicken wings, curry fishballs, white radish and so much more. 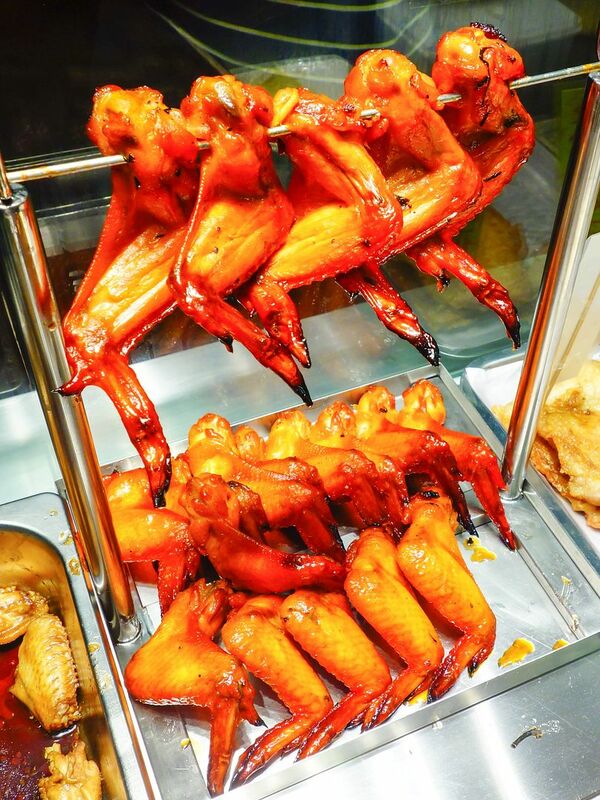 The toppings were all prepared by the masterful chefs from Legendary Hong Kong. The cost of each ingredient ranges from $1 to $2. Luckily, I was with a few friends so we could order different noodles, different base sauces and different toppings! My favourite combination is the mee kia noodles with curry sauce. The Hong Kong-styled curry sauce adds so much flavour and intensity to the toppings and noodles. 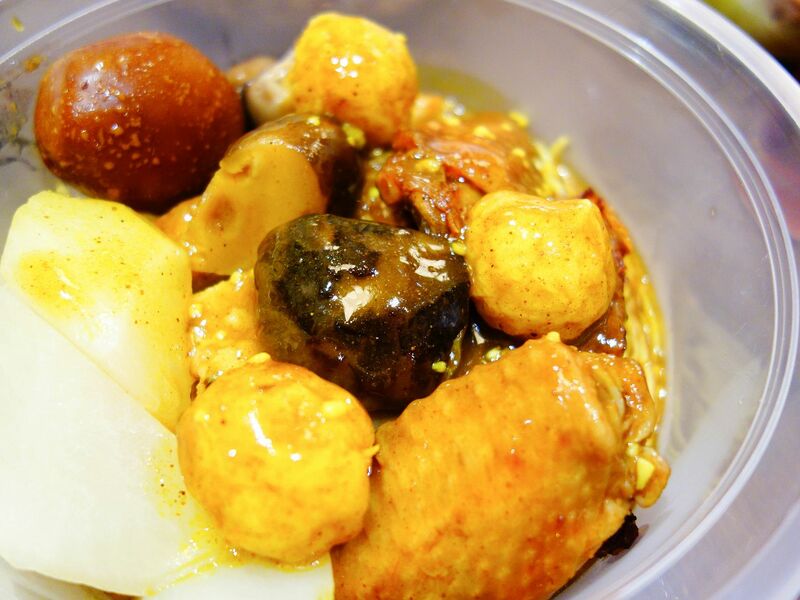 My favourite toppings included the curry fishballs, braised chicken wings, braised eggs and beef brisket. My meal was about $6 which was definitely worth the price for a huge bowl of slurp-worthy noodles and toppings. I found eating at Legendary Cart Noodles good but I would not make a special trip to Jurong Point just for it. Maybe it’s because I was being risk-averse so I ordered everything I was familiar and comfortable with so I didn’t get to taste the true essence of Hong Kong cart noodles (such as the innards!). 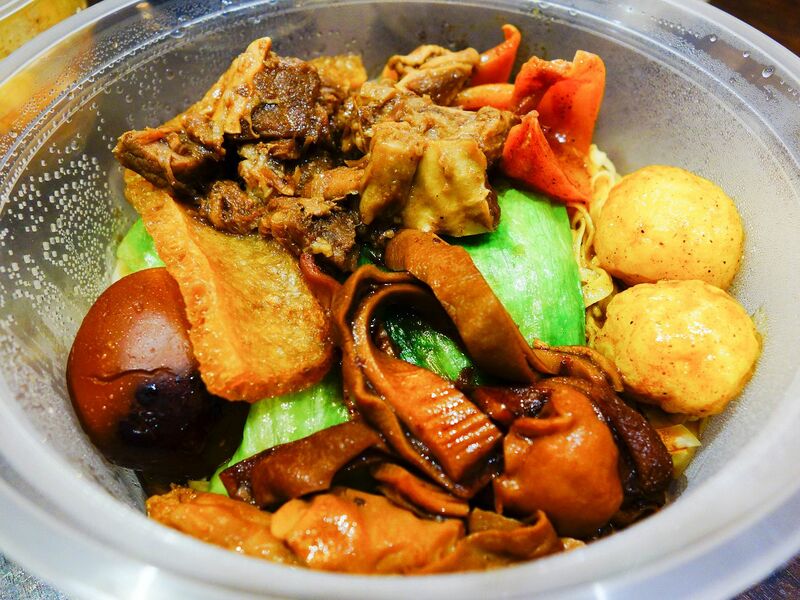 Some of you who have been to Hong Kong may want to come over to Legendary Cart Noodles to relive your street dining experience!